SELECTED PROJECTS FOR Aircraft Owners and Pilots Association (AOPA). AOPA Foundation, is AOPA’s 501(c)(3) charitable organization. AOPA Political Action Committee, is just for AOPA members. Through lobbying, it represents the interests of general aviation to Congress, the Executive Branch, and state and local governments. GA Serves America, was created to promote general aviation to the public. Legal Services Plan/Pilot Protection Services, provides AOPA members with legal defense against alleged FAA enforcement charges as well as assistance obtaining an FAA flight medical. Air Safety Institute (formerly the Air Safety Foundation) is a separate nonprofit, tax exempt organization promoting safety and pilot proficiency in general aviation through quality training, education, research, analysis, and the dissemination of information. Multi-page brochure with information for Owner's and Renter's Insurance policies. 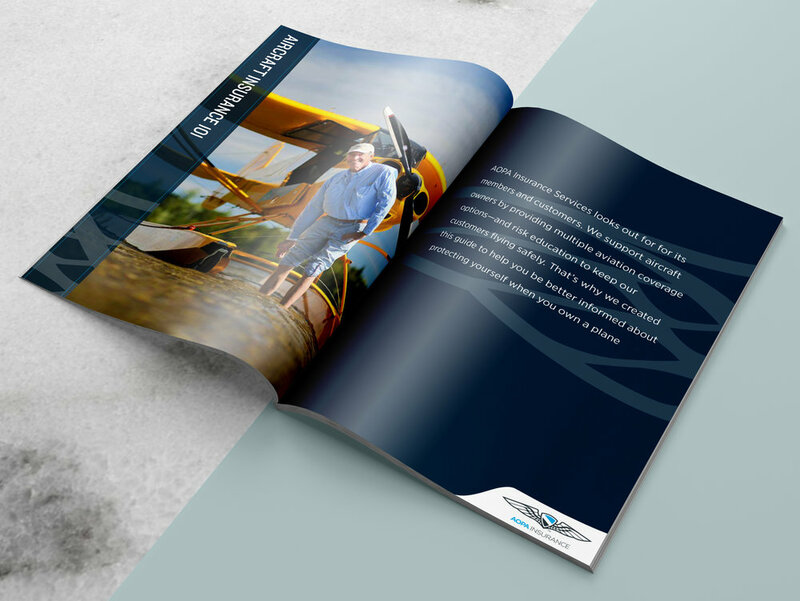 Ads, flyers, posters, brochures, direct mail, certificates and outdoor flags for AOPA. It was a great opportunity to work with a newly created branding/style guide.